When you see these trees, think of an umbrella. Bigleaf maple have tall trunks and an expansive canopy of vibrant green leaves that opens and branches out overhead. 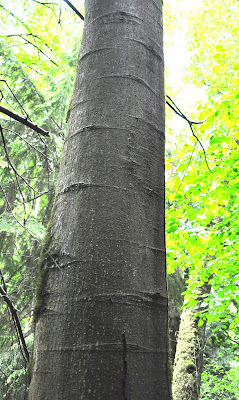 These trees can reach more than 100 feet in height, and can live for several hundred years. 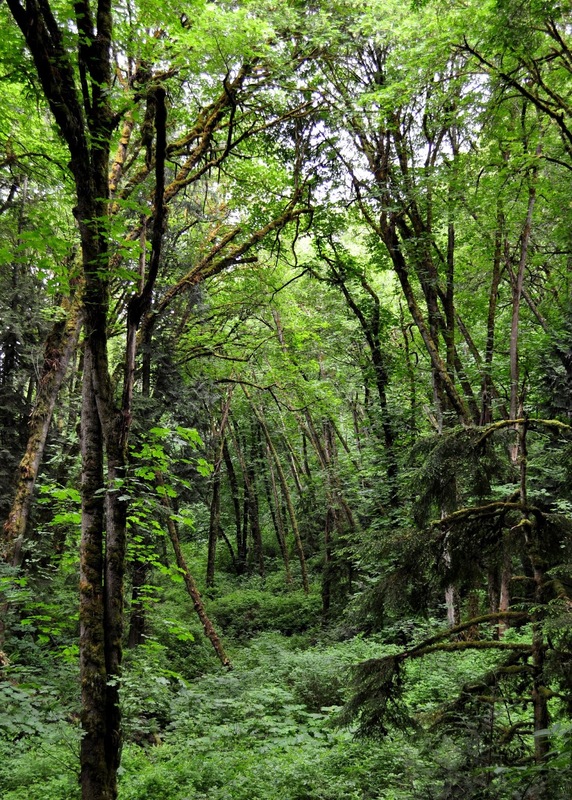 Identifying features: These trees often have multiple trunks, which are typically covered with moss and licorice fern, and often sport large, bulging knobs called burls. In patches where the trunk isn't covered with furry green moss, you'll notice that the bark has shallow, narrow grooves running vertically up and down the length of the trunk. Maple leaves are vivid green and have that characteristic multiple-lobed shape that is easy to identify. In the fall, these leaves turn bright yellow before mellowing to orange-brown and dropping to the ground. Bigleaf maple are also known for the helicopter-like seeds they produce, which are sent spinning into the air from those branches way up high, and fill the skies on breezy days. Bonus tip: if you want to see some truly spectacular bigleaf maple, head over to Saint Edward State Park and take the South Canyon trail for an amazing view of what I like to call the "maple cathedral," which in my mind rivals the grandeur of the park's formidable seminary building. The photo does not do it justice - trust me - visit this place and see for yourself! Try to get there in the afternoon if you can, when the maples are lit with heavenly golden light. It's spectacular. Many of us are only aware of the existence of these trees because of the sneeze-inducing clouds of cottony white puffballs they release along with their seeds. This time of year, it's common to find drifts of white cottonwood fluff piling up along roadsides and clotting the vegetation along hiking trails. Although we tend to dislike these trees for the red, itchy eyes they often give us, there is actually much to appreciate about them. Looking up a cottonwood trunk covered in its own fluff. Achoo! 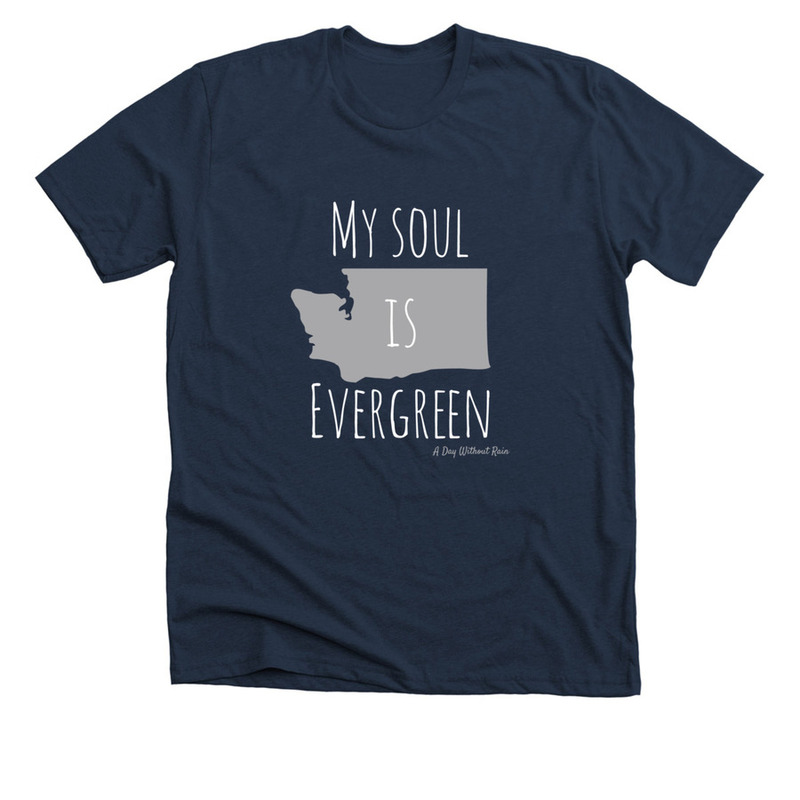 Black cottonwood trees are ubiquitous in the Pacific Northwest region. Although they grow anywhere, they especially like wetter areas along creeks, wetlands, and lakesides. This is where you can find some of the largest specimens, which can reach heights of more than 100 feet. Identifying features: Cottonwood trees typically only have one trunk, with limbs and leaves branching outward along its entire length. The bark boasts deep, wide, sharply-chiseled vertical grooves, and is usually covered in moss in places. The leaves are triangular or teardrop shaped; green and waxy on top and golden on the underside. 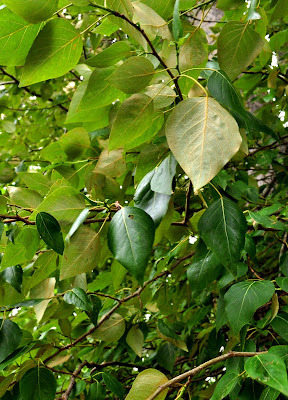 Bonus tip: Because of their long stems, cottonwood leaves twist, twirl, and flutter in even the slightest breeze and make a soothing pattering and rustling sound as the air moves through them. Whenever he wrote of cottonwoods, Edward Abbey always referred to them as trembling, quivering, and shimmering; if you happen to catch sight of a cottonwood on a breezy, sunny day, you'll see why. They positively glitter! These are, in my opinion, the weeds of the tree world. Red alder are usually the first trees to grow back in recently cleared land, and they grow back with a vengeance! I have many unpleasant memories of yanking alder seedlings out of our horse pastures; a task which left my hands raw and sore, and covered in a pungent green varnish from the leaves and branches that tore off in my grasp. A thicket of red alder growing in a once-clear pipeline trail. 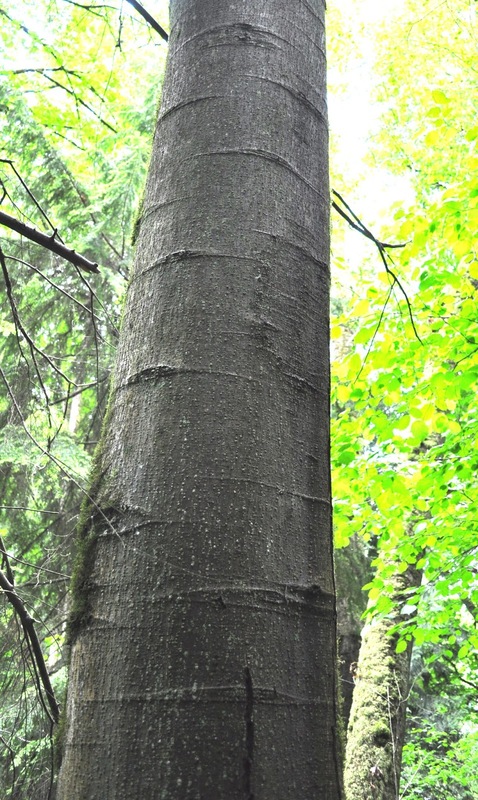 Identifying features: Red alder trees have mostly smooth bark broken every so often by horizontal ridges. The bark also bears blotchy white areas, which are lichens that have taken up residence on the tree. Most alder you'll encounter will be the young weedy type with trunks only a few inches in diameter. Occasionally, you may come across an older specimen that measures a foot or so in diameter, but I've found these larger alder to be rare. The leaves are bright green, with serrated edges and a classic "leaf" shape. And there you have it! 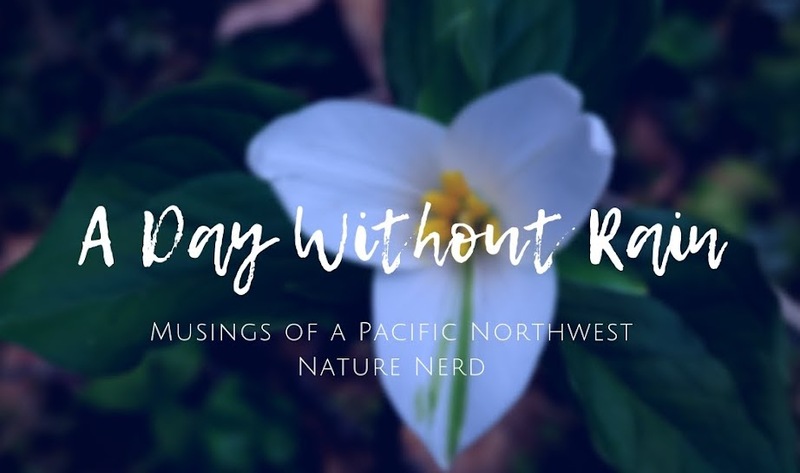 Now you should be able to easily identify these common deciduous trees native to Pacific Northwest lowland forests. Because I'm focusing solely on identification here, this article isn't meant to be an exhaustive overview of the ecology of these tree species... there is certainly more to learn, but being able to identify each tree is a great place to start!